Its amazing how much junk ends up on the kitchen backsplash. All of that wine and food and dishwater from cooking and spills and running taps usually end up making a mess of the backsplash, and its probably the hardest working part of the kitchen that often gets treated like it isnt there. Think it might be time to appreciate the backsplash and make a beautiful part of the kitchen and not just forgetten like the naughty stepchild. Most people will agree that the kitchen is the social heart of any household. With all the meals, parties and people just calling in congregating in the kitchen, its important to make sure that they have a fantastic kitchen to enjoy and the kitchen backsplash is part of that. Fit a hard wearing water resistant backsplash material in the kitchen where the wear and tear is the most. The protection provided by a backsplash is an investment in your kitchen rather than an expense. As a minimum this should include the stove and sink area, and then also usually any walls between countertops and cabinets. So what materials and color do you want for your backsplash, and which ones reflect your personality and style the most such as glass tiles, ceramic tile and natural stone. 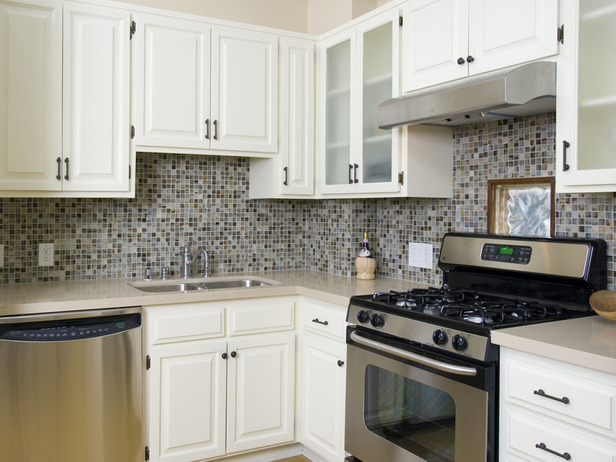 When considering backsplash materials, look beyond functional. The choices you make for those will determine the look and feel you end up with in your kitchen. When selecting tile you need to consider dimensions and material. This helps to minimise the amount of cuts into tile that need to be made. The goal is to make the best use of the space the countertop and cabinets. Think about different styles of tiles that may bring out an undiscovered beauty in your kitchen. Patterned tiles work well or mosaic tiles are a good backsplash choice. There is a wide choice of materials such as stone, glass, metal and slate and good choice of colors available. Hand painted tiles are another more beautiful and unique backsplash that can be hand made to order and color. Glass tiles, a popular choice for the ease of maintenance as they are very easy to clean and they do not stain. Mosaic tiles are a popular choice with a wide variety. Fused Glass and Ceramic Tile Murals and very stylish. Glass Tiles, Stainless Steel, very modern and very sleek. Tin Tiles, different symbols and shapes and designs, can create interesting tiles. Natural Stone such as marble, polished granite and tumbled stone.They do require treating and sealing the stone to prevent staining. As you know, utility sink faucets can do more than what ordinary kitchen and when it comes to heavy-duty tasks which are usually made from high-grade steel, can withstand long hours of constant water temperature and water pressure variations.